A plain reading of the Bible seems to make it clear that once God was done creating, he was done, period. 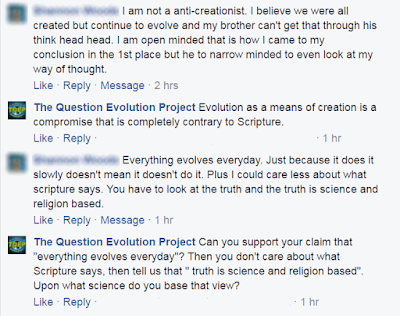 Varieties of theistic evolutionists join the gang at the Darwin Ranch in a hoedown, dancing around what Scripture says. 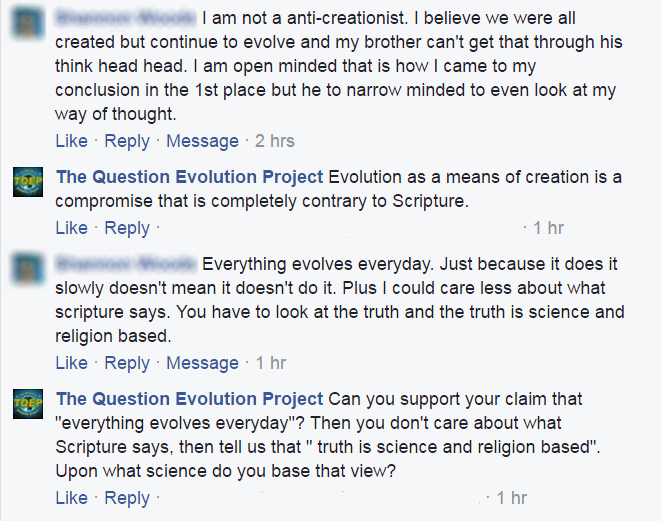 One group disbelieves the Bible, the other pretends to believe it a little bit. But how can anyone get around the part that says, "God rested"? Sounds like God is done, I reckon. 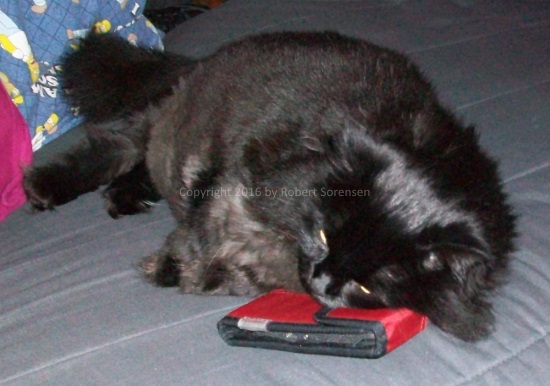 This post gives me an excuse to show Basement Cat resting on my e-book reader. I took the option of finding something else to read. After a couple of additional exchanges, this character was banned after an obscene comment. The way theistic evolutionists manage to sneak the idea of God's continuing of creation into their worldview is through massive eisegesis, conflation, and other tricks of intellectual dishonesty. Some of their points and objections may seem plausible at first glance, but they're reigned in with reasoning from the Bible and proper exegesis. According to Scripture, God finished making the whole universe in six days, and rested on the seventh. However, theistic evolutionists insist that God made galaxies, planets, and all living things by means of natural processes, using the same physical laws that govern the universe today. But, if the laws of nature possess such creative power and the world continues to evolve under their influence, then is creation really a finished work? Many theistic evolutionists openly declare that it is not. Even though the Bible says that God completed the world long ago, theistic evolutionists say the world is still under construction. Below, we will examine the Bible’s treatment of this subject in more detail. Afterward, we will consider various strategies theistic evolutionists use to try to get around the Bible’s teaching, and explain why they do not succeed. To finish reading, click on "God’s rest — A problem for theistic evolution".